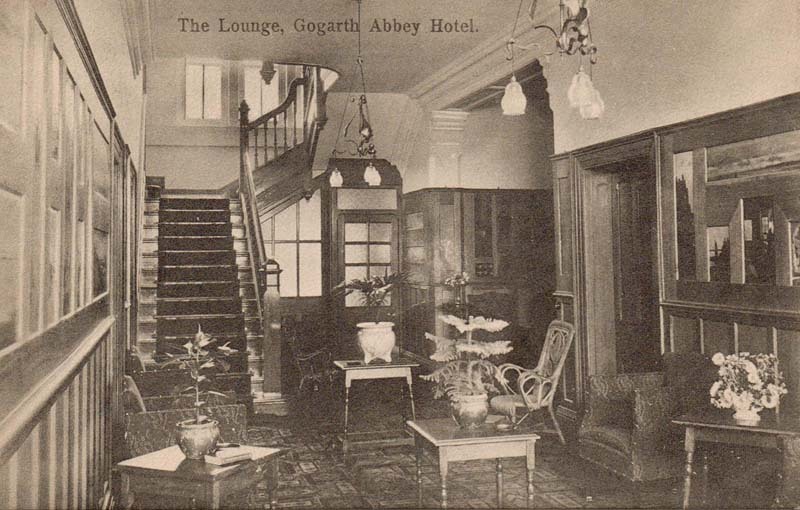 A recent eBay find – a postcard of the lounge at the Gogarth Abbey Hotel. The date on the reverse is hard to read but its from about a hundred years ago. Some of the Ousey pictures can be seen mounted in their oak panels on the walls. Click the image to view. 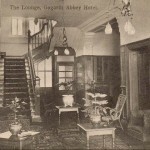 This entry was posted in Penmorfa Paintings and tagged Buckley Ousey, Gogarth Abbey Hotel Llandudno, Penmorfa. Bookmark the permalink.